We track every ColecoVision video game purchase on eBay to bring you the most accurate video game prices around. Pitfall II Lost Caverns for coleco Colecovision ADAM video game Cartridge RARE! ColecoVision - Pitfall II - Lost Caverns - Coleco Cartridge Only LQQK! ColecoVision Game ~ Pitfall II: The Lost Caverns ~ Cartridge only ~ Works Great! 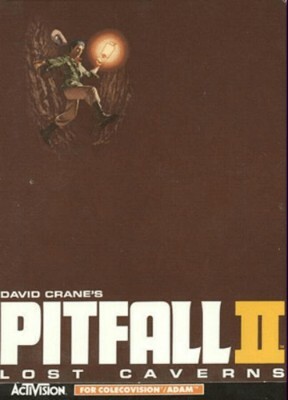 Pitfall II 2 - Lost Caverns for ColecoVision (Activision, 1984) TESTED! Pitfall II: Lost Caverns (Colecovision, 1984) cart only working!